‘Quite exceptional’ is how Jürgen Klopp chose to sum up Mohamed Salah’s four-goal showing in Liverpool’s 5-0 victory over Watford at Anfield on Saturday evening. The Egyptian was in superlative form as he took his tally for the season so far to 36 in all competitions and moved four clear ahead of Tottenham Hotspur’s Harry Kane in the race for the Premier League Golden Boot. Salah opened the scoring after just four minutes as snow fell inside Anfield, twisting beyond Miguel Britos before stabbing home to set the Reds on their way to a commanding triumph. His second – arriving just before half-time – owed much to Sadio Mane and Andy Robertson’s combination down the left, resulting in the latter crossing for the No.11 to tap in. Salah then set up Roberto Firmino for a third shortly after the interval, before he completed his hat-trick with a brilliant solo goal as he bewildered a collection of Hornets defenders inside the area. The forward slammed in his fourth and Liverpool’s fifth late on and afterwards, Klopp was naturally effusive in praise for his endeavours. The manager told his post-match press conference: “You can ask about him, but he gave the answer already! He gave it with four goals and if the question is what do I think about that, I think it’s quite exceptional. “It was another good performance in a very difficult game in a very impressive manner, coping and dealing with difficult conditions tonight. The whole team did, of course, but around the first goal I would say Mo especially because it was obviously slippery, so everybody suffered - but not Mo in that situation. It was really special scoring that goal. “The second goal, a fantastic pass from Sadio to Robbo, a fantastic cross and great sprint. Third goal, fantastic situation, Mo and then Roberto. Fourth and fifth goals were outstanding, so that’s all you need to be on the highest level. 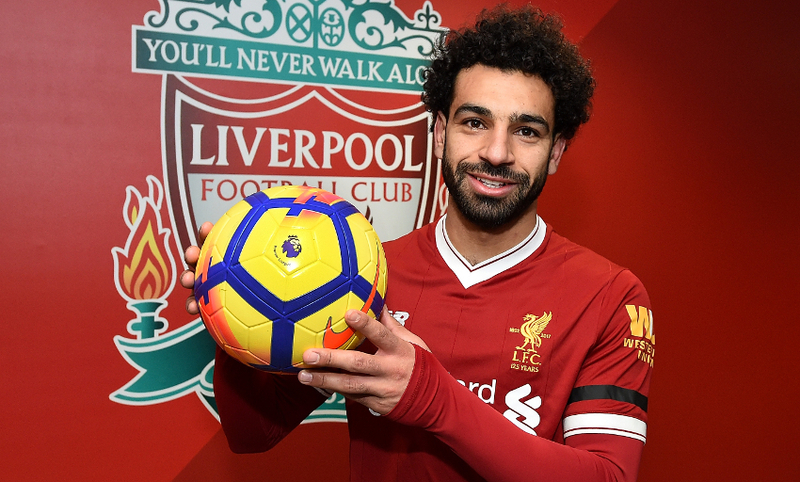 Klopp was asked about similarities between Salah’s first and third goals and the kind of strike synonymous with Barcelona’s Lionel Messi. 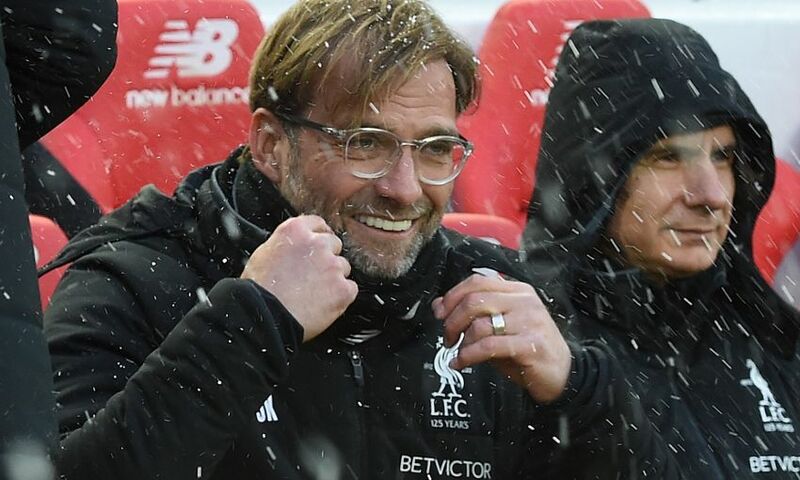 The boss feels there is no need to make any comparisons, however, and was also eager to highlight the contributions of the other members of his forward line, Firmino and Mane. Klopp said: “Mo is on the way, that’s good. I don’t think that Mo wants - or anybody else wants - to be compared with Lionel Messi. He is the one that is doing what he is doing and it feels like [he has been] for 20 years or so. The last player I know that had the same influence on a team performance [as Messi] was Diego Maradona, I think. “Yes, Mo is on a fantastic way, that’s for sure, but how it always is in life, if you have the skills then you have to show it constantly. His consistency is very good for us. It helps, he helps us a lot, the boys love playing together with him, he loves playing with them, so it’s good. “You always need somebody who brings the ball over the line, but tonight I have to say Sadio’s game looked so mature, so mature. He was cool on the ball. “Then in a 5-0 [it is unusual] that you speak about a striker because of his defensive work-rate, I haven’t had that a lot, but what Roberto Firmino did tonight again, ask the other teams if they like it - to have him in their back, in and around. It kills so many situations for the opposition team, always someone coming from behind [to challenge]. In no other game anybody is coming, only against Liverpool - the No.9 of Liverpool is chasing you.